If you were a college football fan in 2009-2010, you know who Terrence Cody is. Besides being a two-time All-American, he blocked two field goals (one a game winner) against Tennessee and lead the Alabama defense to win a national championship against Texas. Standing 6’4” and weighing over 350 lbs, it was obvious why Terrence Cody earned the nickname “Mount Cody,” but what a nice guy! 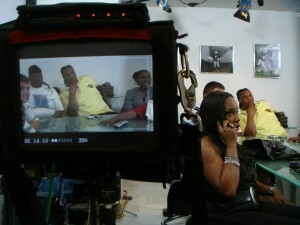 Go To Team’s Charlotte, NC based HD video crew had the pleasure to spend NFL draft day with Mt. 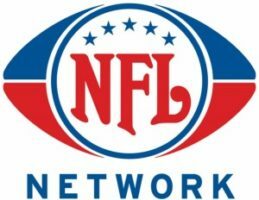 Cody doing live cut ins for the NFL Network. Terrence and his friends and family gathered in his agent’s office to find out where the nose tackle was going to play professional ball. While he was expected to go in the first round, Cody slipped into the second round and was drafted by the Baltimore Ravens. Though there might have been some disappointment after Cody wasn’t selected in the first round, everyone was thrilled he was picked by such a dominate defensive team. Ray Lewis and Mt. Cody? SCARY! Good luck Terrence!